News from LMCU: The $50,000 Home Makeover contest is coming in March! 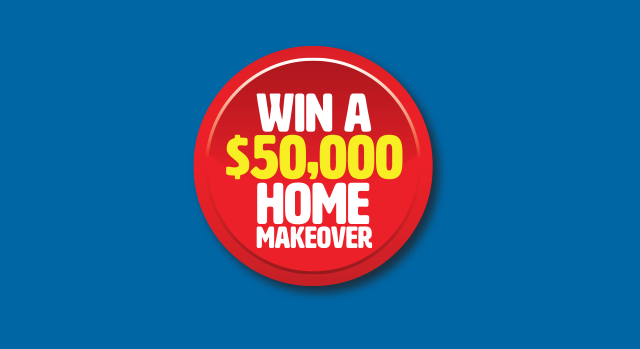 The $50,000 Home Makeover contest is coming in March! Renovate your kitchen. Replace your roof. Or finally finish that basement. Better yet, do all three thanks to our $50,000 Home Makeover. To enter, check back in March by visiting LMCU.org and following the link to our entry site. * You can also enter at your local LMCU branch. Enter daily, and visit our Facebook page for more ways to increase your chances of winning. Contest runs Friday, March 1 to Friday, May 24, 2019. For complete contest details visit LMCU.org, coming soon.